Hubby has been working 13 hour days, 7 days a week for 3 weeks and will continue for at least the next 4 weeks. While I would never consider anything other than being a stay-at-home mom, the drawback it comes with is always being on the front line of parenting. Without having hubby around to help, this quickly can get overwhelming. Thankfully, we are blessed with parents who are stepping in and taking turns helping with the kids so I can get other things done. My sister however wins the prize this week of most helpful advice. She sent me this pin! Well-timed, Kid. 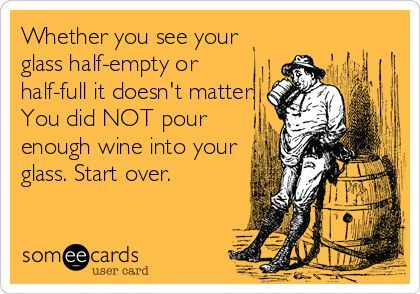 Well-timed… We can always fix the alcoholism once hubby’s schedule returns to normal, right?